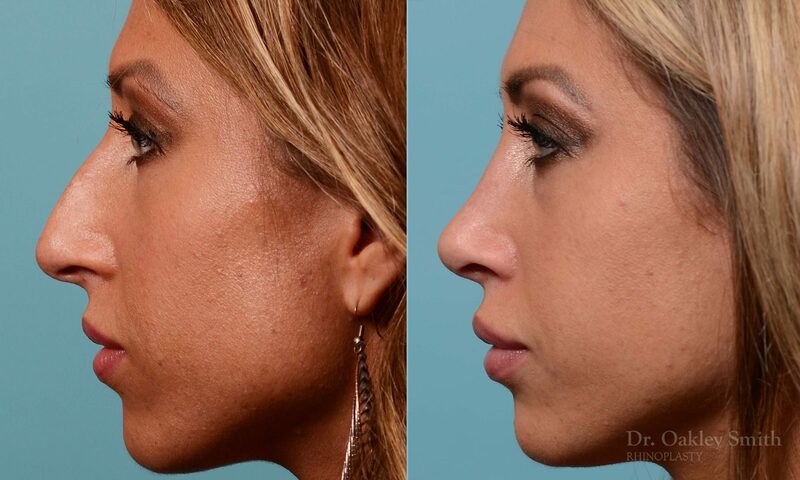 This lovely, attractive young woman slowly had developed left nasal blockage which had reached the degree where she wanted it improved. At the same time she had always hated the bump on her nose, felt it was too large and wondered if her tip would be better slightly rotated. 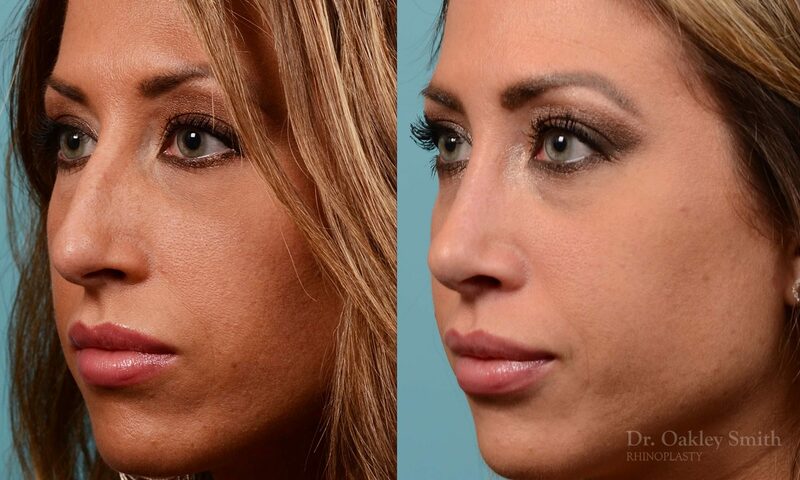 She had thin skin which meant a higher possibility of postoperative irregularities showing through. However, it also meant the changes would be clearly visible. 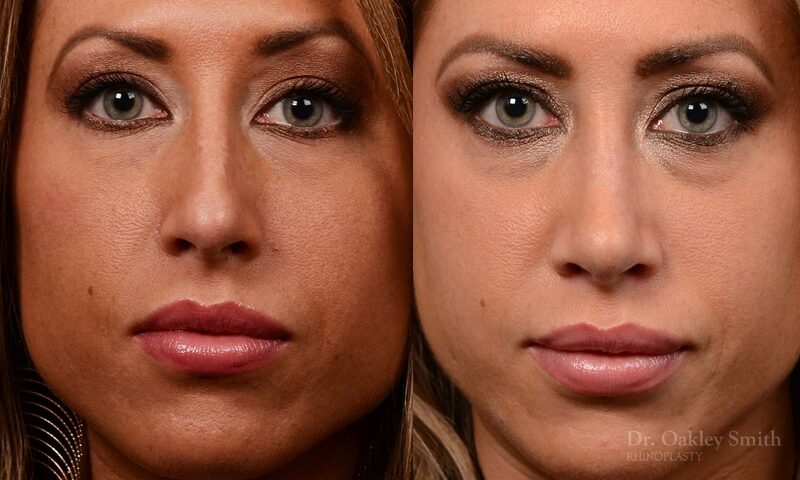 At the time of surgery, her left deviated septum was straightened inside her nose and her nasal bump removed and a gentle curve created. Because of her thin skin ,small crushed pieces of cartilage were placed where her nasal bones met her bridge cartilage. Furthermore, thin strips of cartilage were placed to widen the lower bridge and make smooth side walls. Her tip cartilages were found to be quite curved and sutures were needed to make them straight and thereby narrow her supratip area. 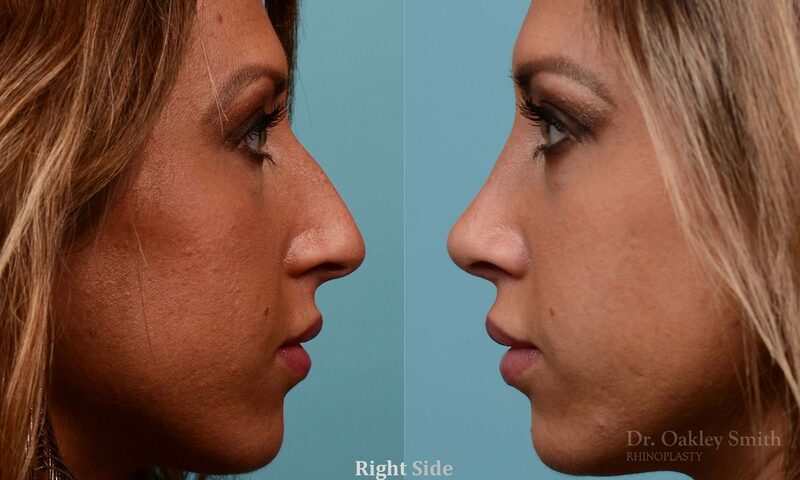 The degree of overall reduction of her nose was limited and less than what Dr Oakley Smith and the patient had agreed would be the goal. Her tip was rotated very slightly. Her columellar incision can just be seen on her basal view. Our patient is very happy and freely shares her happiness with the world at large on her Instagram account @kayla_fab and re-posted on Dr Oakley Smith’s account @droakleynosebest. 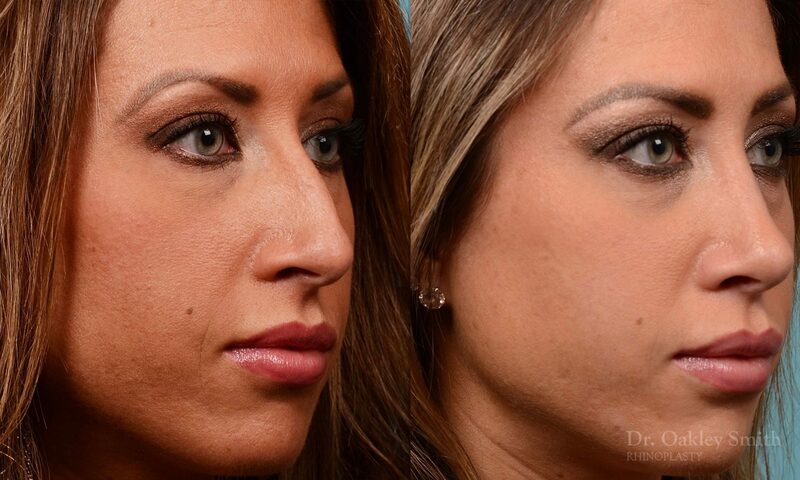 Before and after pictures of Dr Oakley Smith, the only Toronto cosmetic surgeon who exclusively practices only rhinoplasty.